Hi TBadSeed. 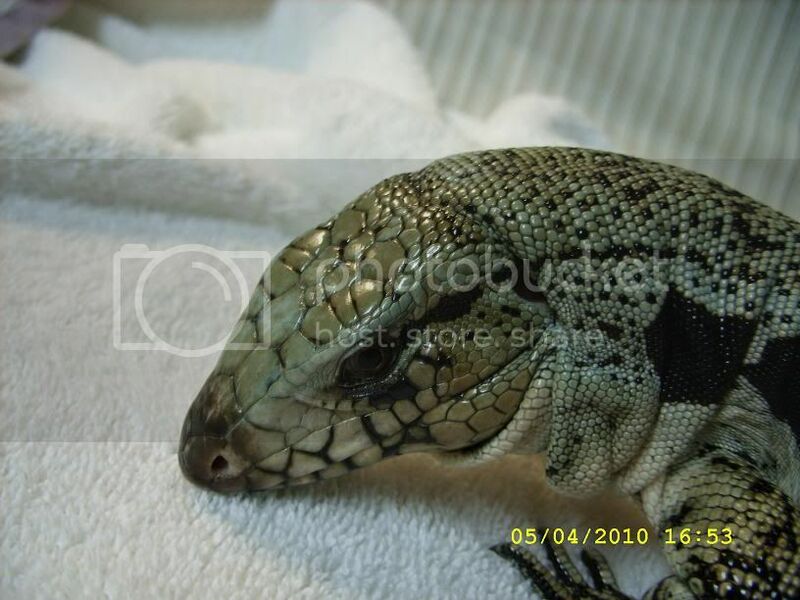 Welcome to our Tegu forum family. Congrats on Johnny. Do you know if he hibernated ? Some Tegus hibernate and some don't. When they hibernate they stop growing until they come back out of hibernation and start to eat again. About the photos. I recommend creating a account on Photobucket. After you downloaded the photos on there click on a photo you would like to post on here. To the right of the photo you can see where it says " Share this photo " or " Share this Album ". Double click on in the box (next to IMG). This will copy the photo/album. Then go to your post you started on here and right click on your mouse and then click on " paste ". This will bring up your photo.